International efforts to release people from Libyan detention centres to Niger have hit a deadlock, the UN refugee agency (UNHCR) has warned. A senior official from the UN agency told MEPs in the European Parliament on Monday (5 March) that if more refugees and asylum seekers were not dispatched onwards from Niger to EU states, then the country may stop taking in people from Libya. 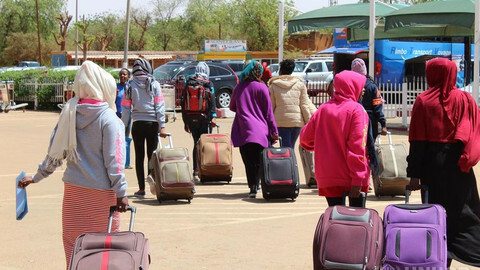 "We were advised that until more people leave Niger, we will no longer be able to evacuate additional cases from Libya," siad Karmen Sakhr, who oversees the North Africa unit at the UNHCR. The European Union, along with the African Union, had last November promised to evacuate thousands of migrants stuck in Libyan detention centres following CNN footage of people being auctioned off as slaves for $400 a head. The pledge was made on the margins of an EU-Africa summit in Abidjan in November, where French president Emmanuel Macron described the anti-slavery mission as an "emergency operation." It meant freeing people from the centres and sending them to Niger where they would then be dispatched to EU states as part of a broader resettlement scheme. But of the 1,020 sent to Niger so far under the UN agency's watch, only 25 have left, all of which went to France. Some 312 were sent from Libya to Italy and another two went to Romania. "There is a need for the countries to come forward when it comes to accepting these cases," noted the UN official. The European Commission, which also finances the scheme, appeared to blame the UNHCR for the slow pace of resettlements from Niger. Simon Mordue, the EU commission deputy director-general for migration, told the same MEPs at the hearing on Monday that the agency was simply taking too much time in assessing individual cases. 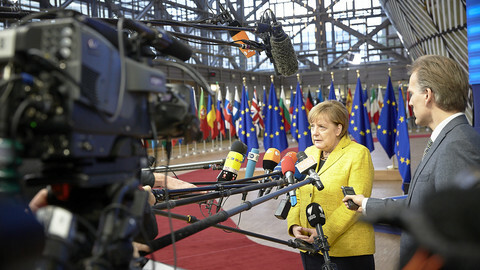 "They [member states] can and are willing to resettle more but can also do with a bit of help in speeding up the processing of the individual claims by the UNHCR colleagues on the ground," he said. He also noted that Libyan nationals were now also taking the perilous sea journey. "We are now beginning to see arrivals from Libya of Libyan citizens, that is not something we have witnessed in significant numbers up until this year," he said. Some 3,700 people, mostly from Eritrea, arrived in Italy from Libya from the start of the year up until the end of last month. A joint task force composed of the EU, Africa Union, and the United Nations visited Tripoli in late February. The group had met wit the Libyan foreign minister, deputy interior minister and others. Estimates suggest around 5,000 people are currently detained in government run detention centres. It is unclear how many are held in those overseen by militias. France said EU states will take part in military operation in Libya "in the next few days" to save up to 20,000 people at risk of slavery. 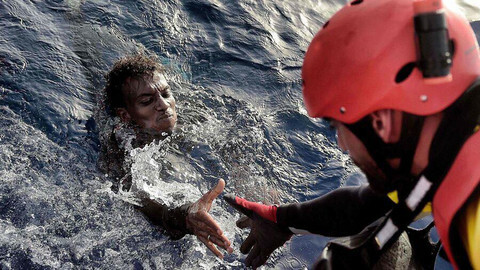 The EU and its members states have signed up to 'Faustian pact' with Libyan authorities in the their effort to prevent migrant and refugee boat departures towards Italy, says Amnesty International. Niger has temporarily stopped all evacuations from Libya detention centres under an EU funded programme because so few are being resettled to Europe. Many of those that have been evacuated are pregnant, with some asking for HIV testing. Spanish NGO Proactiva Open Arms had its rescue boat seized by Italian authorities in Sicily earlier this month. Three employees have been accused of migrant trafficking and face up to 15 years in jail and huge fines.